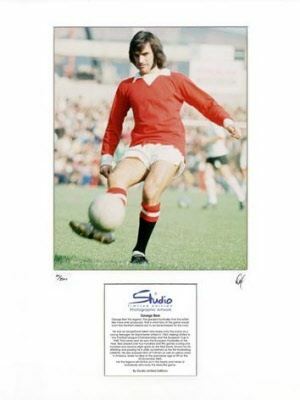 Limited Edition George Best. The man that has played over four hundred and fifty games scoring one hundred and seventy goals for Manchester United. ( 2500 artwork edition). Birthday gift ideas to hang on home or office.